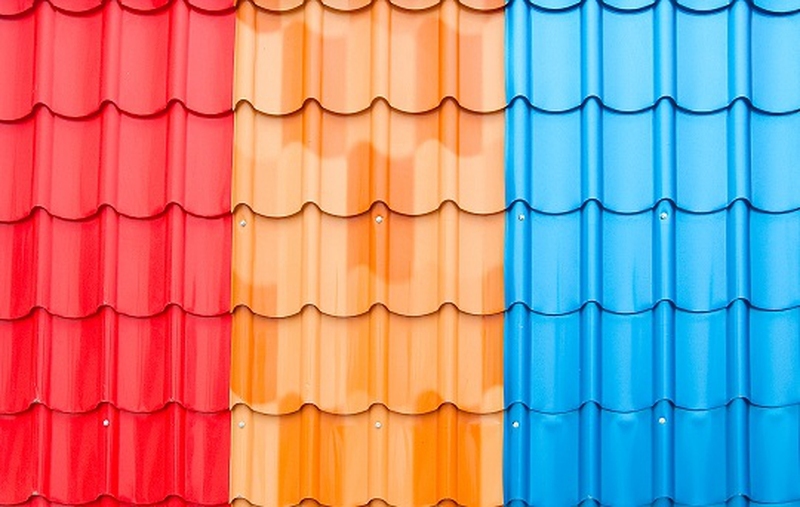 Having a plain tin roof is not very appealing to homeowners; there is no color to it and when you wish to paint your home, a tin roof that is not painted will not fit in with the rest of the paint scheme. The same thing applies if you have a tin roof that is already painted and needs a new coat of paint, or you wish to change it. The article that follows will show you how to properly prepare and paint a tin roof. Going right for the gusto and painting the tin roof will leave you with a finished product that simply does not look good. In order to get the best possible finish to the tin roof it first needs to be cleaned. Set your ladder up in a central location where you can reach the majority of the roof without having to move too much. Use the push broom to remove leaves, twigs and larger debris. Follow up with using the power washer to remove any dirt and grime that is set fast to the tin roof. This will also take care of any oil and grime that has accumulated over the years. Removing dirt, oil and debris is just one part of a two part process to preparing a tin roof for painting. One issue that a tin roof has, especially older ones, is that they can get worn out and rusty rather quickly. Rust will be the death of an otherwise great paint job. First use the wire brush to remove the loose rust from the tin roof. It should not take much time or elbow grease to knock down the rust so that it is flat. Next, use an electric sander with a coarse grit sandpaper to go over the rusted areas that have been knocked down. Use medium pressure on the sander while moving it in a circular motion. It is doubtful that you will remove all of the rust but as long as it is flush with the tin roof the painting will be a success. This method should also be used to remove paint. You need to use paint that is both for metal and for outdoor use as it will usually contain a metal protector like rustoleum. Apply the first coat of paint using the paint sprayer in even sprays the length of the roof. Carefully overlap the layer you applied previously until the tin roof is fully painted. You may not be able to cover the entire tin roof with the sprayer. Rectify this by hand painting. Pour some of the paint into the paint tray and use various paintbrushes and a paint roller to get to the tough areas. Wait for the paint to dry before adding a second coat if you need to. Server responsed at: 04/21/2019 10:21 a.m.